White and mauve roses cascade over the bride's arm as she walks down the aisle. Ivy and ferns further emphasize the cascading shape of the bouquet. 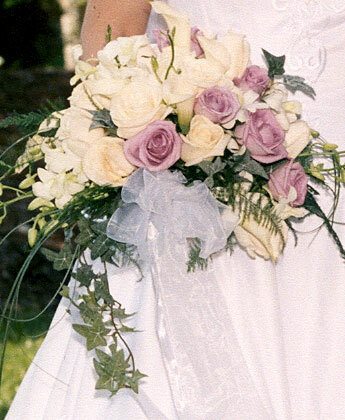 A sheer white ribbon and bow add a light touch for a summer wedding bouquet.